Fans of the Fab Four around the world will have the chance to celebrate their favorite band during Beatles Day 09 and raise money for the Imagine Appeal for the Alder Hey Children’s Hospital and the Marina Dalglish Appeal for a radiotherapy centre in Liverpool. 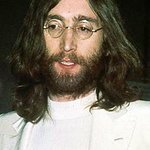 Officially launched by Julia Baird – John Lennon's sister – and Ricky Tomlinson, the event will take place on July 10 in places as diverse as China, Russia, New Zealand and of course Liverpool. 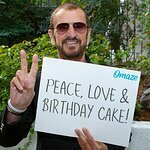 This year will mark the second time the event will be held, with last year’s homage to John, Paul, George and Ringo – which gained support from Pink, Russell Brand and the Sugababes – raising over £45,000. Liverpool will once again host a concert as part of the event, and there will be loads of merchandise and happenings available. July 10 was chosen as the date as it is the anniversary of the Beatles triumphant return to Liverpool from the States and the premiere of the film ‘Hard Day’s Night’ in 1964. The streets were lined with thousands of adoring fans, and organizers hope to re-create the same sort of Beatlemania this year. “It’s 24 hours when people can show their love for the Beatles and celebrate the legacy of their music,” said Chas Cole, Summer Pops promoter. "The concert at the Echo Arena will be a great way to finish, but BEATLES DAY is really a chance for the ordinary people of Liverpool and other towns and cities all over the world to take part in Beatles related fundraising activities and events. The most important thing is to have fun whilst raising money. The Imagine Appeal is a fundraising campaign launched in 2005 with the help of Yoko Ono to raise money for Alder Hey Children’s Hospital – the largest children’s hospital in Europe. Since 1914, the hospital has led the way in the care of sick children and now treats more than 200,000 young patients every year. And with patrons such as Wayne Rooney, the Imagine Appeal aims to make the work of the hospital easier. To find out more about this event, visit the official website.